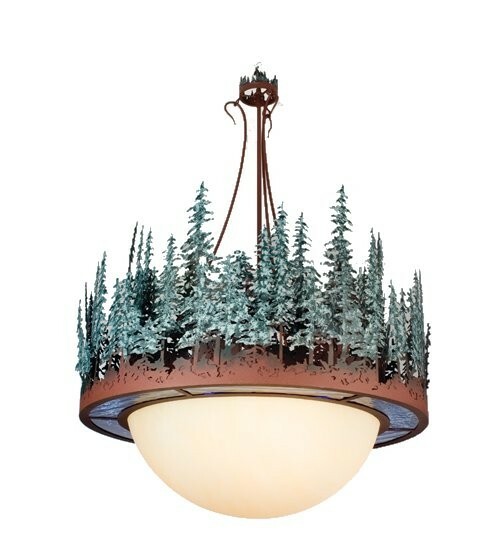 This beautiful lodge style Pine Forest Rustic Chandelier is finished in rust and topped with a forest of tall green pine trees. Handcrafted in USA . 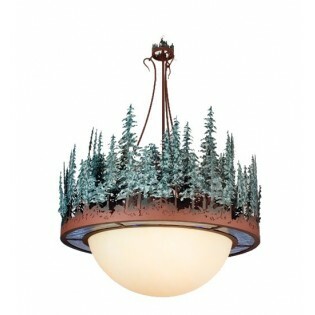 This beautiful lodge style Pine Forest Rustic Chandelier is finished in rust and topped with a forest of tall green pine trees.